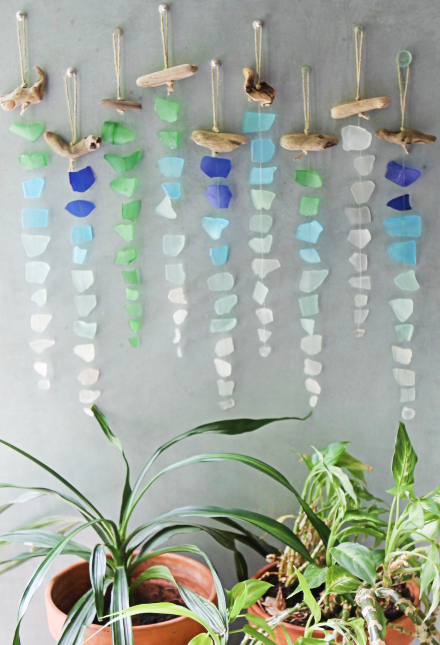 Gorgeous sea glass hangings that catch the light of the sun. Also known as suncatchers and chimes. Shop or DIY. 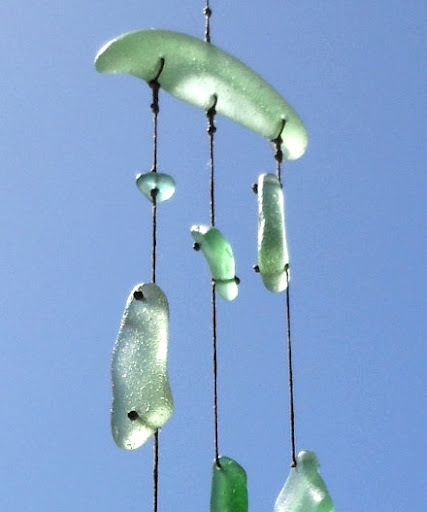 Single strand seaglass suncatchers that hang from a driftwood piece. Perfect to hang on the wall where the sunlight hits. Multiple strands of seaglass, strung together with with fishing line. 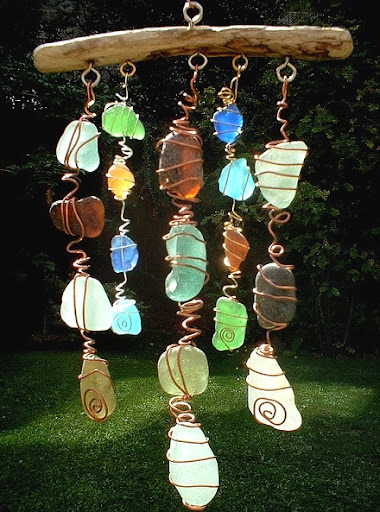 Handy eye screws are used for this artistic sea glass sun catcher by Artisanne. Want to try this? 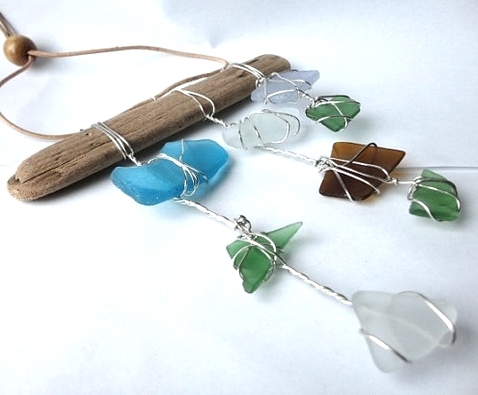 Learn how to Wire Wrap Beach Sea Glass! 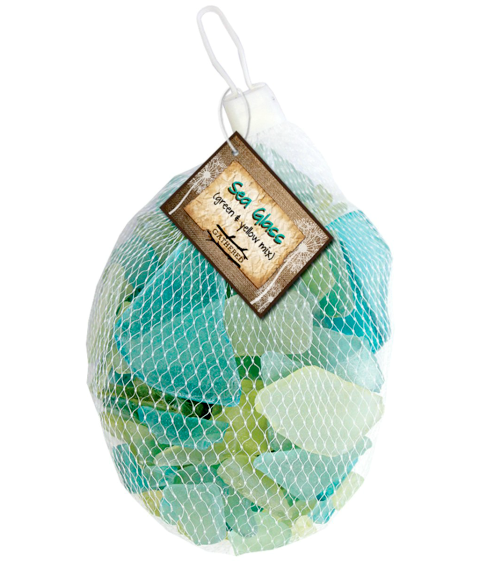 the look and feel of real seaglass. A mini mini sea glass sun catcher chime. Original source no longer available. 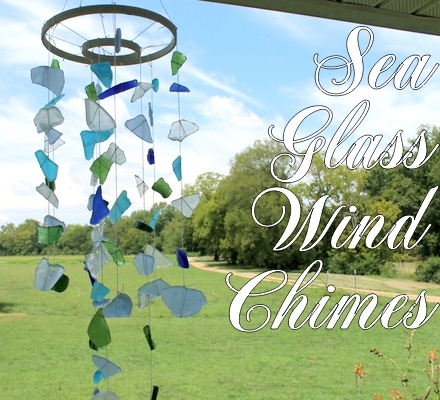 This seaglass wind chime is made with two different sized embroidery hoops. anywhere you have a knot on the rings. 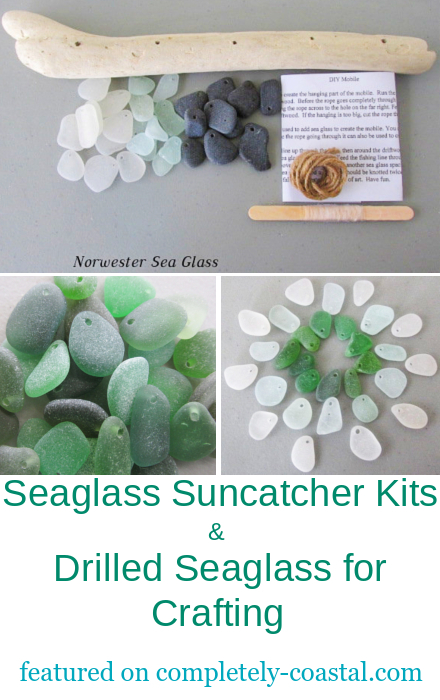 A sea glass sun catcher constructed by Saltwater Sassy that requires to Drill Holes. 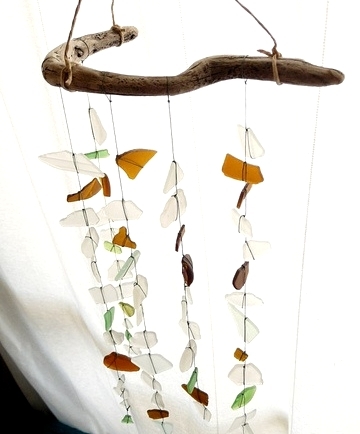 Made with individually hung sea glass pieces and bead thread. 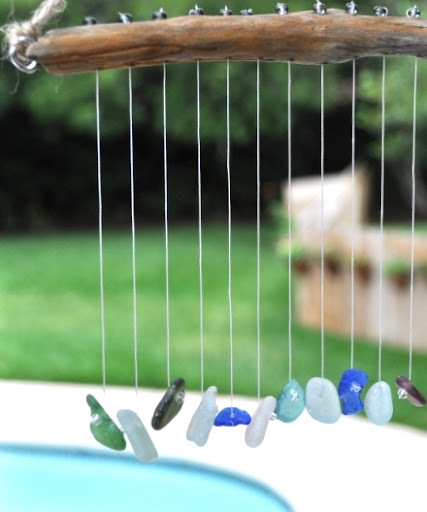 This sea glass chime also requires drilling holes. to fully enjoy the play of light & colors.